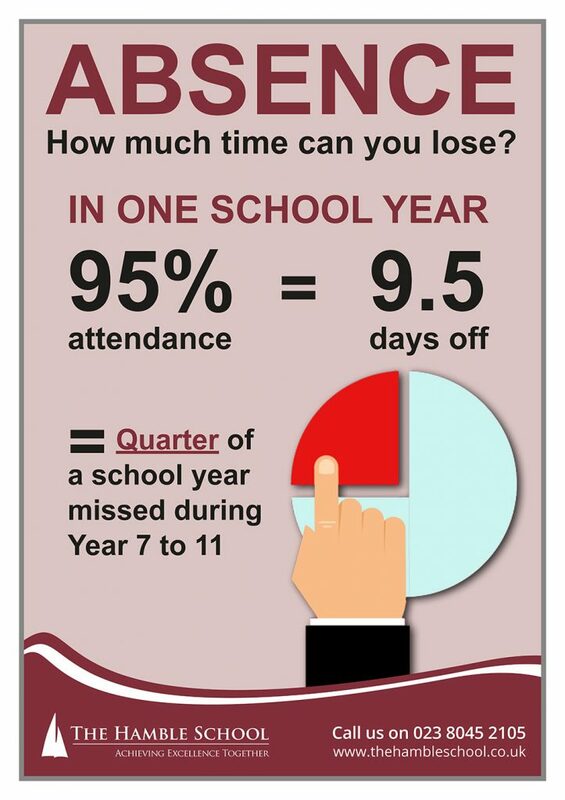 All students at The Hamble School should have an attendance percentage of 96% or above. 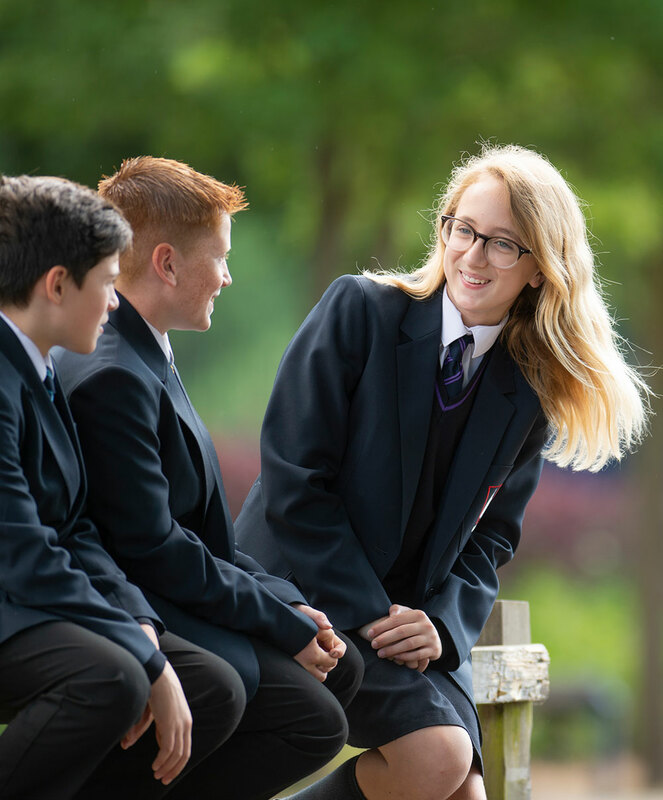 The school recognises the importance of excellent attendance and punctuality in order that students can maximise and achieve their potential. 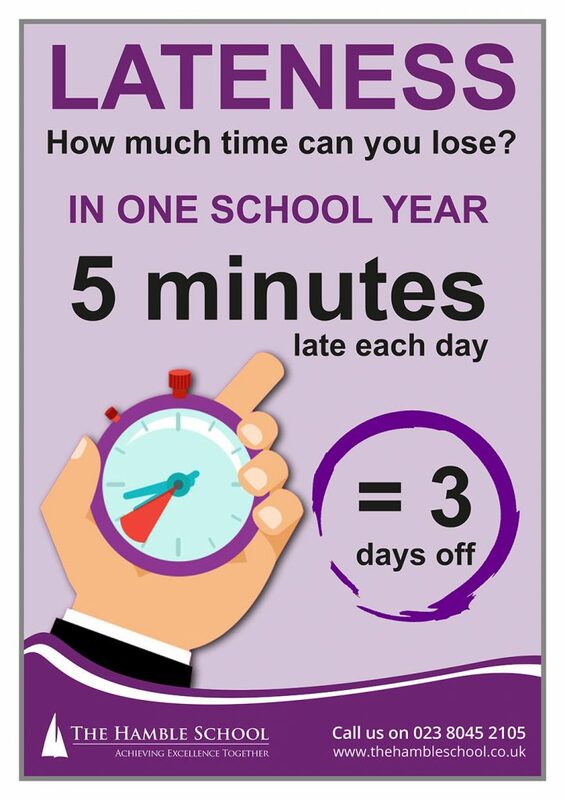 Parents are legally responsible to ensure their child attends school regularly and attend on time. The school expects students to be in school and on time every day barring serious illness or accident. 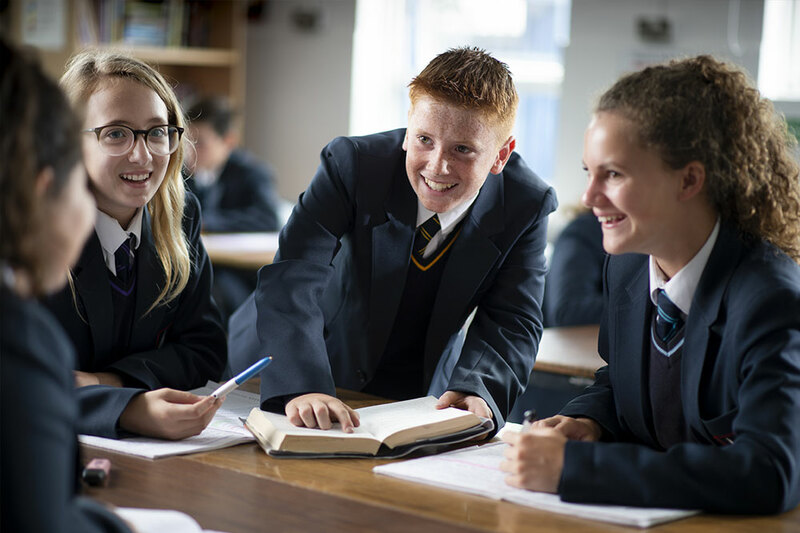 Good attendance is vital in ensuring your child achieves the best possible outcomes when they leave The Hamble School and move on to further education. It also ensures that they are well versed in the standards required for successful future employment. Should my child stay at home from school? We are often asked if a child needs to be kept home from school. Often, staying at home has a more negative impact on the child than attending school with a minor ailment. If your child does not have a temperature but has a cough, cold, headache or earache then as with adults, the medical advice is to give them pain relief and send them into school. We have a medical welfare officer who will contact you if your child’s condition worsens. The school will not authorise all absences deemed to be an invalid reason to keep your child at home. Unauthorised absences can lead to a Fixed Penalty Notice. Please refer to the ‘Everyday Counts’ leaflet in the featured content for more information. 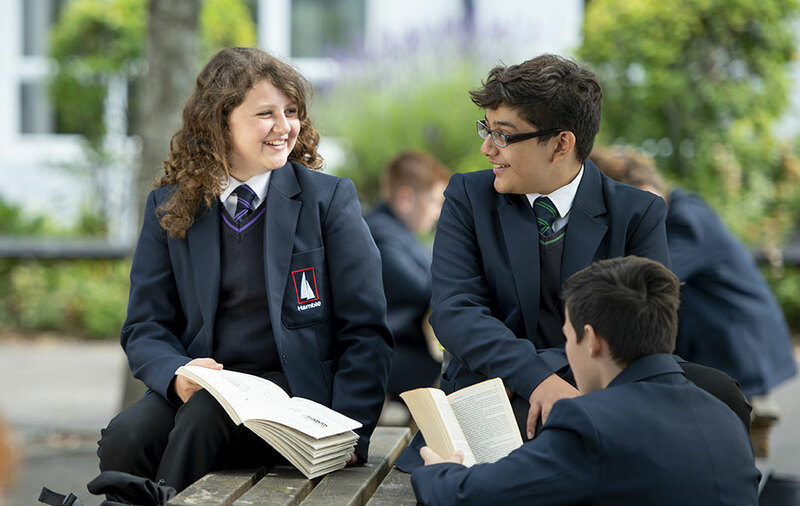 If your child is absent from school due to illness, please leave a message on the school absence line before 8.30am stating the child’s name, their tutor group and the reason for absence. This can be done by calling 023 8045 2105 and pressing option 1 to leave a message. 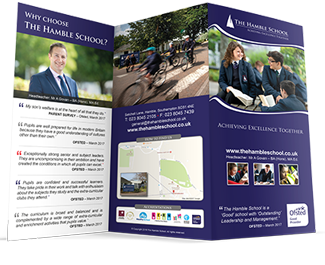 Alternatively, email attendance@thehambleschool.co.uk before 8.30am with the above information. The school requests that students should not be taken out of school for non-urgent medical appointments. If your child has a medical appointment a letter or appointment card must be provided. Any absences without proof will be unauthorised. If your child is absent with no reason the school will telephone/text and e-mail parents/carers on the first day of absence. If you do not respond to the contact the absence will be recorded as unauthorised. If your child’s absence becomes a cause for concern we will inform you via letters and meetings. Strategies will be discussed to improve your child’s attendance. Any student whose attendance drops below 90% is classified as persistently absent. 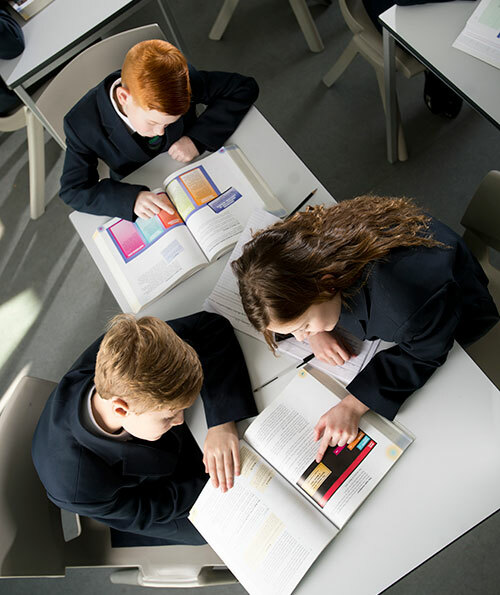 If there are no valid reasons for this amount of absence and improvement cannot be seen, parents are liable to be issued with either a Fixed Penalty Notice or the school will make a referral to the Attendance Legal Panel. This could result in court proceedings. A child may be at risk of harm if they do not attend school regularly. This could be considered a safeguarding matter. A child may be at risk of harm if they do not attend school regularly. This will be considered a safeguarding matter. The school does not permit holidays to be taken during term time. Parents/carers should be aware that the law now enforces the position regarding holidays. 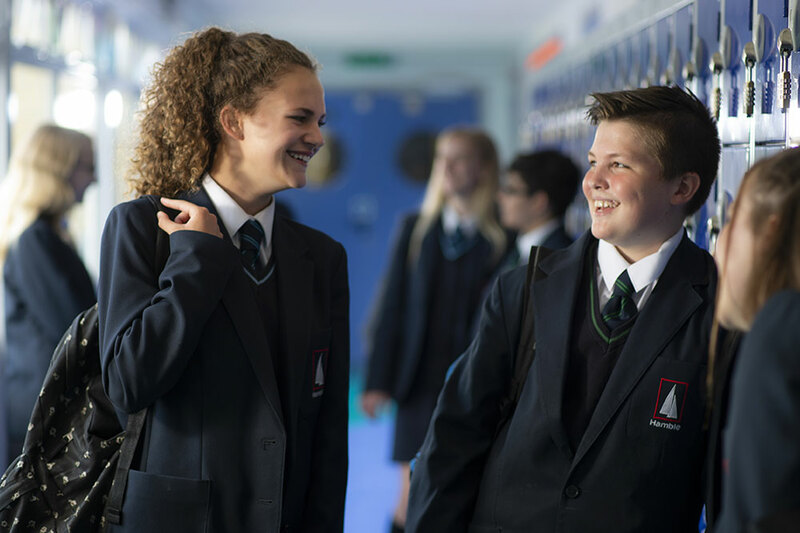 The Education (Pupil Registration) (England) (Amendment) Regulations 2013, which became law on 1 September 2013, state that the Headteacher may not grant any leave of absence during term time unless there are exceptional circumstances. Parents/carers who take their child out of school for five or more days during term time, without the authority of the Headteacher, will be liable to receive a penalty notice. If you require more information please refer to the documents listed in featured content. Students are rewarded every week for 100% attendance. Students receive reward points and these go towards end of term certificates/prizes. 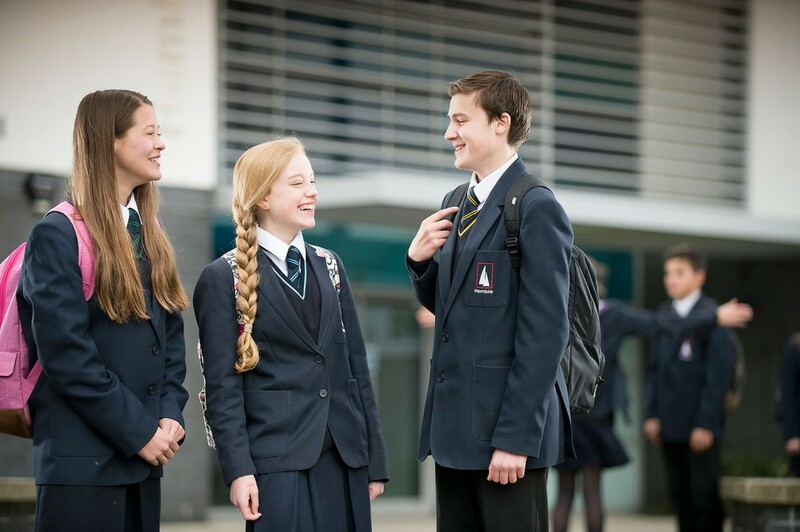 The school also provides many different rewards for excellent attendance and most improved attendance. These include cinema vouchers, love2shop vouchers, attendance fast pass, Easter eggs and many more! If you would like to discuss your child’s attendance in more detail please contact their tutor or Miss West (Attendance Officer). If you require a Leave of Absence form you or your child can pick one up from the school reception desk.